This softcover songbook contains the vocal score for Gioacchino Rossini's epic nine movement mass. 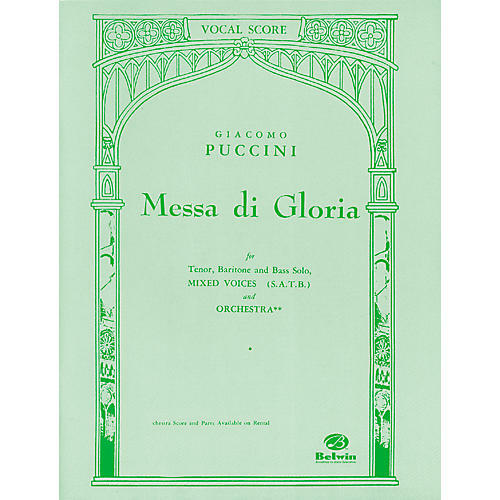 If you're a choir director in a parish, an academic institution or otherwise, Alfred's Messa di Gloria songbook is a classic selection. Widely considered a sacred composition, this book contains orchestral instrumentation and soprano to bass vocal range.